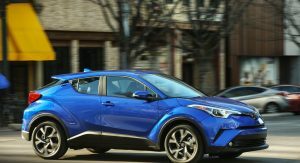 Toyota’s high hopes for the CH-R in the US market have not been met yet, as the sub-compact SUV has failed so far to meet the company’s expectations there. 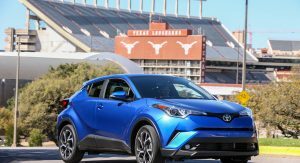 Unlike regions like Europe and Japan, where the Toyota C-HR proved to be a major success, sales in the US have fallen short of expectations. Toyota expected to sell 5,000 C-HRs per month quickly after its launch last spring, but this hasn’t happened yet. Its best month so far was this February, with 4,420 cars sold, thanks to better supply from the factory and new financial incentives. 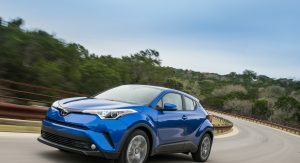 Still though, the Toyota C-HR sits seventh so far this year in its segment, behind the Mitsubishi Outlander Sport. 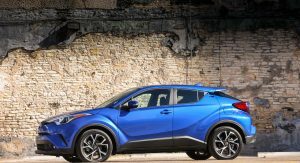 Auto analysts however believe that there are some other reasons for the C-HR’s failure to attract the “right” amount of customers. One of them is the fact that the sub-compact SUV was aimed to be part of Scion’s range but Toyota pulled the plug on the brand in 2016. 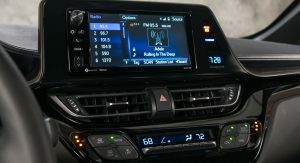 “It’s a product that was intended for the Scion brand, and that means they made product-planning decisions relative to the kind of content based on the Scion mono-spec approach,” said Stephanie Brinley, a senior analyst at IHS Markit. Another issue is that prospective buyers of small crossovers in the US prefer all-wheel drive and have some minimal performance requirements. 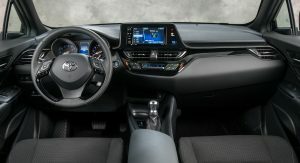 The US-spec Toyota C-HR is available only with front-wheel drive in North America, has no navigation option for the infotainment system, no Apple CarPlay or Android Auto and just one powertrain option. All it needs is an AWD system. It doesn’t matter if it is never used. I agree. 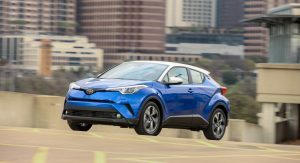 The C-HR’s price of entry is too close with the RAV-4’s. Toyota should launch trim levels priced nearer to $20K while adding more content to the current XLE trim. 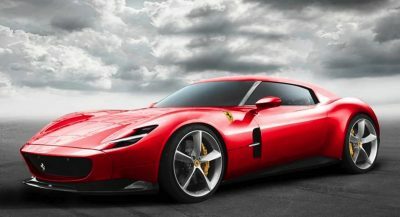 Well, just add an AWD option, navigation and Apple Carplay and Android Auto for the 2019 model year and buyers will come in droves. A rare miss for Toyota. In EU and Far East, this model is offer with four trim levels that offer leather seats, nicer interiors, an additional turbo engine and AWD. The U.S. gets only only bottom level trim. I can’t agree. Not saying it’s good-looking but for an SUV, it’s ot dreadful. How about the Juke? It’s been selling well. In a world where Android and iOS are in everywhere, I don’t understand why Toyota continues without them. Awd and more power would be sweet. 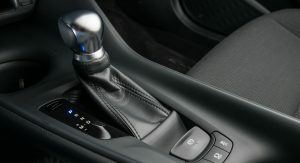 In Europe, you can get a Turbo with manual or automatic, a Hybrid, and AWD, plus very well equipped versions versions (plus a bigger, much more integrated looking screen, though still no car play or iOs). I never understood why the US gets none of those upgrades. This was one of the Scion models before Scion went out of business. Most of Scion customers end up being 50 years old and wanted more amenities and usually brought full loaded versions. So Scion management hoping to counter this trend; start offing the lowest trim levels in their models in the hopes of dissuading their core customers not to buy their models. LOL! This thing makes Aztec look kind of cute. Maybe “made in Japan” instead of “made elsewhere” sticker would help? Why would someone buy this ? Here is Québec, there is TONS of Subaru Crosstreck, Honda HRV, Toyota Prius Hatchback, Toyota Rav4 Hybrid… fix the C-HR with the options above and it will sell like hot cakes ! Moreover, these options are all available in Europe so it’s more a marketing issue than a development issue. I actually think outside of the trucks this is one of the better looking Toyota production vehicles. it looks like something the junior high-school librarian would drive. It’s the ridiculously anemic engine that’s the problem. Freeway merging is a life-threatening experience in this slug. It is made outside of Japan, and they still charge a lot for it, no thanks. Originally this wasn’t a bad looking car, but somehow it aged very quickly and became as ugly as the last-gen Honda Civic. Actually, the Japanese spec C-HR comes in Hybrid form with the same 1800cc gasoline engine, as well as a 1200cc gasoline turbo. We have imported them from Japan. West Indies. Perhaps because it only looks sporty and cool. 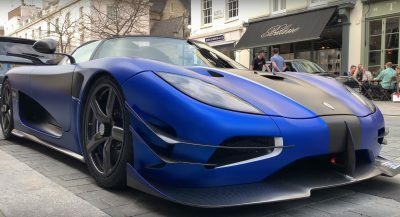 Maybe actually have it drive really well and offer an exciting powertrain? You can only try to fool people for so long with the mediocrity that is the Camry, Corolla, Rav4 bones of these other “new” vehicles.